Professional, Compact an durable. The torch comes in a great presentation box if your purchasing as a gift. If your looking for a torch check this out now! This is the torch that loads of Police Employees have bought this year! Will be very popular at Christmas! The Police T7 Tactical Torch is a medium-sized handheld torch incorporating a high performance CREE Power LED Light Chip, with its shape and grip adjusted to meet the requirements of tactical units This combination of technology, performance and size, makes the T7 a powerful all-rounder. It measures 136mm in length, with a diameter of 37mm, and weighs 198 grams. 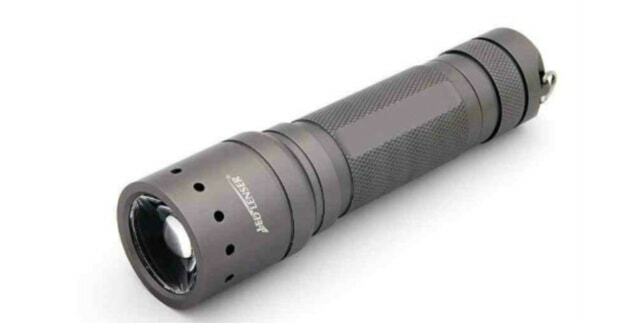 Each torch is powered by 4 x AAA alkaline batteries (included), and provides a powerful 200 lumens of light, with a very high burn time of up to 55 hours, and an equally impressive beam distance of 210 meters. The Police torch also incorporates Speed Focus, which allows single-handed focusing from flood to spot beam, in a second. The T7 is also equipped with a Dynamic Switch on the end cap which offers three levels of brightness (‘Power’, ‘Low Power’, ‘Boost’). With a robust anodised black finish on high-tech aircraft-grade aluminium, this striking, water resistant torch radiates pure style. Beautiful to hold and beautiful to use. Supplied in a very smart presentation gift box.